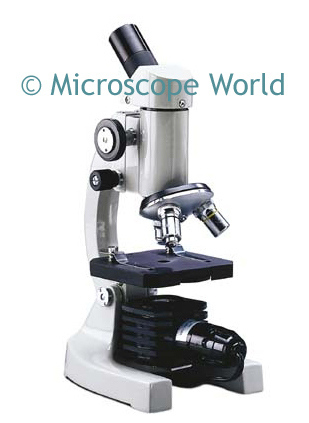 We are often asked what the most popular first microscopes for kids are, and why. 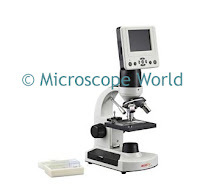 Below you will find a list of the most commonly purchased children's microscope products, and why customers prefer these microscopes. This microscope has no light, which makes it easy to use both indoors and out. There are no cords to trip over and no need to ever replace a light bulb. This microscope is perfect for very small children. Kids can view anything from around the house or out in the yard - leaves, flowers, insects, toy cars, etc. 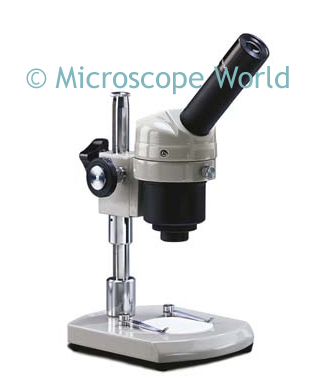 The most popular version of this microscope is the cordless, rechargeable battery version. The microscope can be run off the charger (plugged in), or off the included rechargeable batteries. This microscope is made for viewing slides - kids can make their own (such as viewing cheek cells from inside their mouth), or view prepared slides. At 400x magnification kids will be able to see bacteria, blood cells and protozoans swimming in pond water. This handheld microscope camera is perfect for children. Rather than taking turns to use the microscope, kids can sit around a computer screen and view the magnified object all together. Magnification varies depending on how close the camera is placed to the object and how large the object is. Camera includes software for capturing images. 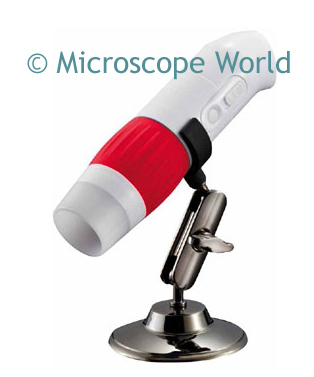 This digital children's microscope offers the same magnification as the kids microscope listed above, but also includes a built-in LCD monitor for viewing a live image. Microscope includes prepared and blank slides for viewing right out of the box.